Compared to most forms of music, reggae can take a lion’s share of the credit for elevating the studio engineer to the status of artist or musician. And few engineers in Jamaica can claim to have worked on so many top reggae releases by elite artists as Sylvan Morris. Growing up in Kingston's Trench Town, Morris’ youthful aptitude for fixing and assembling electronic equipment slipstreamed his route into music: a path that would set the template for the famed engineers of reggae's offshoot, dub - such as King Tubby, Scientist and Mad Professor. (In fact, Morris went by the nicknames of both “scientist” and “professor” when dub was yet to be born). The adolescent Morris’ technical abilities and golden ears led to mid-60s stints at WIRL and Treasure Isle studios, before he took up residence at “the Jamaican Motown” Studio 1 Records. At 13 Brentford Road he presided over Studio 1’s immortal era, shaping the sound of some of the greatest rocksteady and early reggae sides ever made. 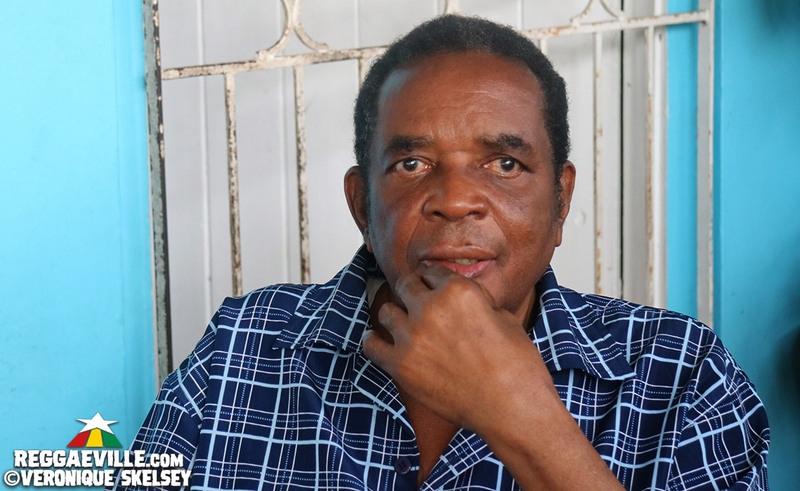 Financial dissatisfaction resulted in Morris leaving Studio 1 proprietor Coxsone Dodd to become house engineer at Harry Johnson’s Harry J studio on Roosevelt Avenue. Again, the move proved timely: Sylvan was at the controls for the exemplary albums of the roots reggae period, by Bob Marley, Bunny Wailer and Burning Spear, to name just three. By the mid-80s, when the music was becoming digital, Morris had gone back to the place where he started, the old WIRL site, renamed Dynamic Sounds. There he would stay until his failing eyesight brought him into semi-retirement. He now lives in Kingston, where he needs regular medication and care. Highly opinionated, heavily technical and deeply spiritual, the visually impaired Morris is still a dominant and imposing personality. It’s easy to imagine him as a youngster telling Jamaica’s biggest tastemakers that they weren’t doing their job properly, a practice that cost him his employment more than once. Having worked on so many sessions he doesn’t have much of a memory for details of individual songs. Sometimes the timelines of his tenure at different studios don’t quite marry up to the release dates of the records where he is credited. But while he is not backward in advancing with his own contributions, the picture that emerges is one of a man so skilled in his craft that everywhere he went, the cream of reggae talent followed. Angus Taylor spoke to him at his home in Kingston for this two-part interview. The first half concentrates on the Studio 1 years. You were born in Trench Town? Yes, I was born right at Greenwich Street. Have you ever been down there? You know where the tank is? You have a big tank there. So that is right at the top of Trench Town. Right there is where I was born. 5 Greenwich Street. Was Trench Town a real singing place when you were growing up? Or was that later? What kind of place was it then? Well I want to tell you now, I have an aunty that lived right down in the middle so she was more like a mother to a lot of the people. But I never stayed down in that section much because I used to live at the top. My father and mother they were living on Lincoln Avenue which is… you ever go down Black Roses? That's just a little bit above you know? My mother used to do selling you know? She would go to market and buy things and sell them, like foodstuffs. Like bananas, oranges, yams, anything you can think about that had an agricultural feel. But my father he used to work at the telephone company, he was a foreman there. He went away to the States and would go and come. Like on farm work and all those things. Was his telecoms job technical? No. It was more like driving. So were you the first technical person in the family? (laughs) Well I am the only one in the family! Out of my siblings. So how did you first get interested in electronics? There were some books that used to come out called Practical Wireless. Because in those days they were just moving from vacuum tubes to transistors. So these books would show you how you have some circuits and things and how you can build them hobby-wise. So I started from there getting interested in making some little radios. When did you first build an amplifier? The first amplifier I built was when I was about 12 years old. I don't remember if it was 6L was the output at the time. ECC83 but they use that as the preamplifier and the driver. At that time, 15 amps was a whole heap of amps. I think it was the first one I built and I stepped it up after that with some KT 88 you know? Like 100 watts and all that. Why did you decide to do that and where were the amps being used? Well it was just me playing them at my home you know? I was quite young. How did building and fixing radios and amps turn into work? Well at the age of 15 there was a man by the name of Mr. Martin and he used to do some business. There was a place on Eastwood Park Road by the name of Comtec. So he used to do business with them. Through him seeing me every day with this whole heap of wires all over the place. Sometimes I'd go to church with lights in my pocket or blinking out and things! He just suggested to them saying he has a little relative and if they could take him and train him or something you know? But I could not tell them that I was 15 at that time. In those days you had to be 21 before you could start getting the money and those things there as an apprentice. So he told them and they said “Yeah man bring him come man”. They wanted to get rid of me still but they didn't want to tell him no! When we went up there they had about 50 radios. And they said “See you we have some radios man? See if you can fix them man.” And within the space of about two weeks I had about 40 of the radios working. So they said “This youth here!” And they said they were going to hire me. So I went on that trip and started to work with them. And within the space of about a month they put me on staff. In those times the taxi cabs and the bauxite companies had these two-way communication radios. The taxi cabs’ radios were called the “reporter”. And you had some of these other more advanced transmitters and receivers and they were used in the bauxite companies. I used to work mostly on the reporters. They called you the “reporter professor”. You know the thing man! Yeah man. Did you love music at that age? Well let's put it this way I was more interested in the electronics. So the music came with it, you know what I mean? I did a course down by Kingston Technical to learn radio and TV, where they have the name of Union of Lancashire and Cheshire Institute. That was right in the time when I left Comtec. In between Comtec time and then I reached to Coxsone. So how did you go from working at Comtec to going to WIRL studio between 1966 and 1967? What really happened was I had some disagreement with one of the workers. So we parted company. But I was living at a place now where there was this man named Abrahams, he was working at Dynamic Sounds. And I think at that time it was WIRL - it wasn't Dynamic Sounds. West Indies Records Limited or something. He said to them that “There is this chap and he know a lot about electronic equipment and thing”. So I was asked to come down there you know? So anyway, when I went down there I saw this gentleman by the name of Graeme Goodall. I think he was from England [Australia] and he was working with Dynamic Sounds. They were setting up some studio thing you know? Graeme Goodall was there, he took me under his wings you know? In terms of the music now. So I helped him set up the studio. (laughs) In those times it was about two track to three track. That's the very early days. And then we left from three track to four track. He and I set up the studio and he started to teach me the rudiments of recording. This was how I got indoctrinated and started to do some work. Is it correct that while you were there you worked on Judge Dread by Prince Buster and Errol Dunkley You're Gonna Need Me? Yes. Yes. Well Judge Dread with Prince Buster and Lee Scratch Perry was on it too, right? But Errol Dunkley You're Gonna Need Me, that tune the rhythm was not properly done. The tapes were busted you know? So I had to do some configuration, create an intro by splicing the tape like recording it and re-recording it and then splice it and make it into a tune. Errol Dunkley did his tune down there you know? And this brethren was there too - what's his name? Hold Them. Roy Shirley. Because we did Hold Them too. Is it right that you left because you were insubordinate to Byron Lee? No! Well, it depends on who's looking at it you know? (laughs) One day I was there because it was me that maintained the place you know? One day I was there and Byron came in with his friends. Normally he is a person who wanted to push himself forward. Progressive you know? So he would go run, sit around the board and start turning it up. As I said at that time you had vacuum tubes and all those things so you had white noise coming up through the electronics you know? It's not like transistors now where it’s silent. So he fired me but before I reached my home the same man who introduced me to them, he was doing some work for Duke Reid. So the message just reached Duke Reid right away and they hear about “This youth here? Where he comes from telecommunications” right down the line. Duke Reid called for me the same day so I left Byron Lee and went to Duke Reid. And he hired me the same day. You see the next day? Byron Lee sent back for me. (laughs) Byron Lee sent back for me the next day but by this time I was working for Duke Reid. So it goes. While you were at Treasure Isle you mixed the 1967 Festival song winner Festival song winner by the Jamaicans?Ba Ba Boom by the Jamaicans? Yes. The festival song. Because he was trying to test me out to see which one of the mixes was better so Smitty who was working down by Duke Reid... He mixed a mix and I mixed my own and thing. I was told that he preferred mine so they put it out. But I didn't really stay there long. I don't think I stayed there more than about 3 months. (laughs) Well a sort of similar occurrence to what happened do you know? When I went there Duke Reid said that he was glad for me to come help him out and thing? Because he heard about me as a youth. So when I go me and him were there one day and they were doing a tune and I made a suggestion and he said unto me “Any time you see me a do - you know, produce? You don't have nothing to say.” So that's the reverse of Byron Lee you know? So I considered myself and I thought “This man sent for me and he said he heard about me, so I think he wants some help?” I was there about two months and two weeks after that I said “I'm going to leave”. So he said “Why?” I explained to him that the reason. Because he had asked me to come and help him and I made a suggestion and I was sort of embarrassed. As a youth, you know what I mean? 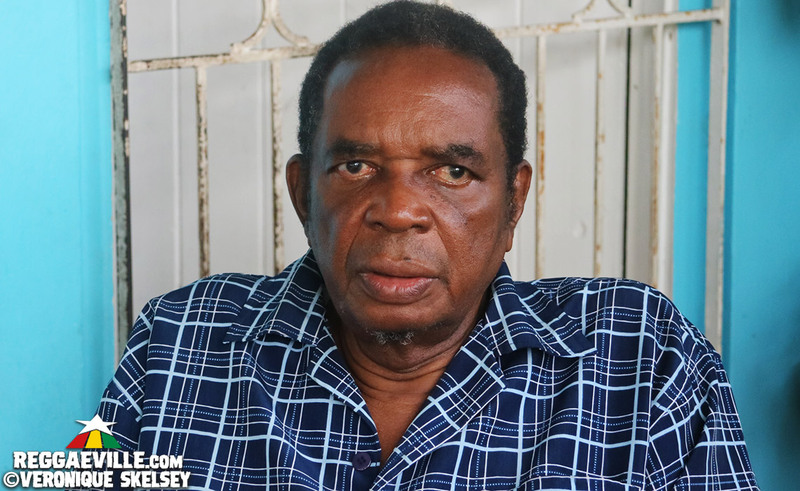 Straight from there now to Coxsone – and do you realise that when I went to Coxsone, Duke Reid never stop calling me you know? Saying he wanted me to come back. Because he didn't believe that I was going to leave him. A lot of artists told me that they were quite scared of Duke Reid. Yeah, well he used to carry his gun. He had his long gun in his hand, the rifle and he had a gun at his side, you know? Sometimes he had all two and if the tune them I get away he would just fire two shots. When the vibes reached, you know? But you were what, 17 or 18 at the time? Let me see now… 16... Yeah I was I was 17 or 17 plus. I guess I'm saying you must have been quite confident at that age. Now I'm going to tell you something. I'm really a spiritual person. I don't know if you understand what that means? I had an auntie that was a mystic. And she took me under her wings, not necessarily teaching me but making certain statements to me you know? And as a matter of fact I started to study our culture book called the Bible right? So I had confidence within myself as a person dealing with God through what I've been reading you know what I mean? So it wasn't fair then I'm leaving one place to the other, you understand what I'm saying? 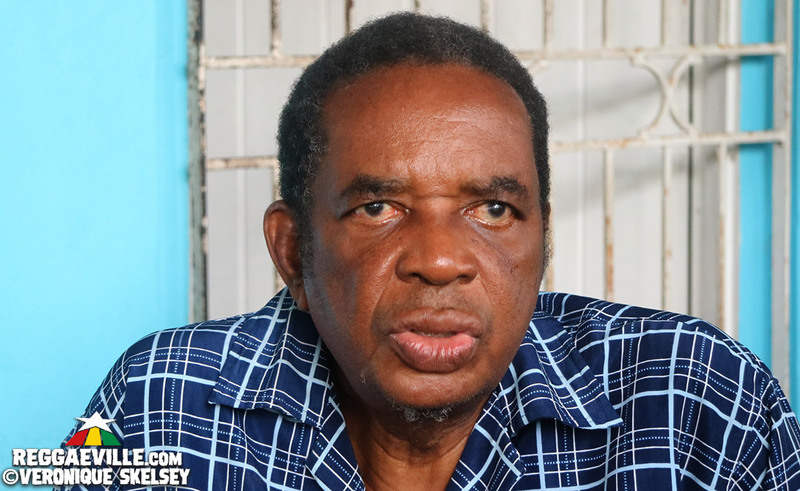 So you went to Coxsone and you replaced Syd Bucknor? Yes. As I entered Studio 1 I think the very same day that I went there Syd Bucknor left. Because he and Dodd used to be some relative, you know? But apparently he was on his way out it seemed, so Coxsone was glad to see me. When I came he said to me “Boy you come here like my son, so I want you to work here and I will look after you, take care of you, you know? Just work man.” So from him saying that to me as a youth I said “Boy I put down my foot” you know? I did the best I can. I wasn't rewarded properly but I suppose he gave me an opportunity. As a matter of fact he said to me one day that if I worked with him properly then he can make me a big man in this country. I remember him saying that to me. As I say I worked there for quite a while and pure hit tunes. The way that the studio was set up I rearranged it. To suit my thing. Because in those days you never had a whole heap of electronic echo, there was no digital business in those times there. You had a thing they called the spring reverb which we used to use. So I had read about something and I built a delay system and the delay system was built in such a way that I used to feed the output of the amp and feed it back into the input and it creates an echo. A delay system. You know a bit about the music from Coxsone days? I don't know if you listen to most of them tunes you hear, they have a delay. The Heptones and Delroy Wilson. I used to feedback the output into the input and you had a delay system. At that time that was considered to be very revolutionary. 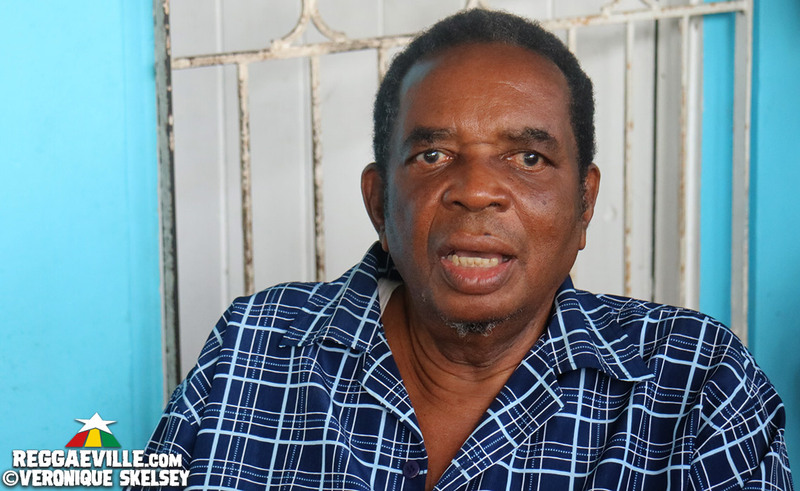 How did Coxsone’s studio setup differ from Duke Reid and Dynamic? Now I want to tell you. I didn’t really do much recording [at Treasure Isle]. To be totally frank I don’t think I did any recording there. I just did mixing. So it’s really Smitty – you hear of Smitty right? Yes. It was really Smitty who used to do the recording and everything. I might do some mixing. But when I went to Coxsone now that was a totally different thing because I was totally in charge. You had some long, long equipment - it was a long board. I think it was four channels input because we had two longboards that we put together - some Chinese made boards. So you had about eight but I don't remember if I brought it up to about 10 inputs. But you know at that time it was two track you know? Depending on what we were doing, we might record a rhythm on one track and the bass and the drum on another track and then we’d do overdubs. Sometimes I'll be putting on horns or some dub on so I'd have to transfer it back now to another track so sometimes it was three generation. Because you have the original then you overdub and then you have to overdub again. To do the voice. How good an engineer was Coxsone? Engineer? Coxsone wasn't an engineer in that time now. I heard that he used to take some tunes, that was before I came there. But from I came there he never did and I've never seen him do anything. How much time did he spend in the studio? From when I go there I’d hardly see him you know? Because at that time Jackie Mittoo was the arranger and the general producer. So they’d usually probably do some auditions on the weekends and then they would arrange who was going to come in. I think we had sessions about three times or four times in a week. Monday, Tuesday and Thursday if I'm not mistaken. Did you ever disagree with Jackie Mittoo about the way the music was going? No sir! No man, Jackie Mittoo was a genius. The man was a... I don't know if genius is a good word, probably that belittles it. The man could play the organ and the piano together you know? So while he was playing one he would play the next one. And then when he would play the organ, I don't know how he knew this but on the Hammond organ he had some little buttons where you pull out, you know? To make it different. And I don't know how he did them so fast you know? He just changed the thing when he wanted to change it! The man was a genius, man. Total genius. When Jackie was the arranger, who were the musicians you were working with? That is trouble now. There were a lot of mixtures. At one time you had people like Bagga. There was a brown brother in there I can't remember his name. You had Eric Frater. On guitar. Bo-Pee. And eventually after a while you had people like Leroy Sibbles. Yeah he came in a bit later. A year later on. At one time we had Richard Ace there. One time we had Headley Bennett there too. Benbow. What about Joe Isaacs and Brian Atkinson - had they moved on by then? Boris Gardiner used to play a lot of tunes too. You know the thing man. Pablove Black was there too. As you know they call Eric Frater Rickenbacker. You had Trommy. Yeah, Vin Gordon. And there was this other guy who was the arranger for a lot of the tunes, this trumpeter and I can't remember his name. He used to do a lot of the arranging after a while when Jackie did leave. Robbie Lyn that was one of the musicians I forgot to tell you about too. Him and Fil came in at the same time you know? Yes, because they were both part of In Crowd. Yeah, yeah. And you remember this brethren named Skully? Skully was there with us and he was a musician too. He used to play percussion. And there was this other brethren, I can't believe I left him out, Denzel Laing. He was one of the percussionist who played on all those tunes there. I heard he used to bring bits of scrap that he found into the studio to make percussion, chains and things. So when you joined it was rocksteady time? Yes it was just blossoming. So tell me about some of the tunes and some of the rhythms you worked on. (laughs) Well I worked on everything! I want to tell you something it's thousands of tunes you know? Because I spent about 9 years at Coxsone. We would do sessions sometimes three times a week or four times sometimes. And we would sometimes do three or four tunes for the day. And that was a regular thing, never stopped from when I went there. So if you check that for nine years - whole lot of tunes man. Tunes like Fatty Fatty. How Could I Leave. Cables. What Kind Of World. I did the majority of tunes with Delroy Wilson. Alton Ellis. Any tune you can think about, because I alone was there working. From the musicians that you mentioned it must have been things like Real Rock, Hot Milk, Feel Like Jumping. Yes. Yes. Yes. That's with Marcia. And we did a lot with Ken Boothe. Delroy Wilson and do you remember this brethren named Freddie McKay? Picture On The Wall. Freddie McGregor used to sing some tunes too but not much. Because at that time he was really a drummer. Yeah man well Dennis Brown did a lot of tunes with me too. But the first tune we did was No Man Is An Island. Delroy Wilson, Alton, Ken Boothe, Cornell Campbell, you hear about that guy? Yeah of course! You did Queen of the Minstrel with him. That man had a phenomenal falsetto you know? Phenomenal, man. To be truthful I think I might have done a few tunes. Love Is A Message. So tell me what you did to create the unique bass sound at Studio 1. Ok! Well I had observed from some time before that at the front of the speaker it was more a direct sound but coming from the back it was like it was more round you know? It was like the bass was deep. So what I did I created a box, a speaker box, I don't remember the dimensions now but I made some apertures around the back. Two apertures. That's where I put the RCA mic. So sometimes I'd mic it from in front and sometimes I'd mic it from behind. And we also had direct inputs too. So more time I'd use the direct input and the mic from the back. There was this big RCA mic. But this RCA mic here now, it used a ribbon. It has a ribbon and the ribbon got busted so I disassembled it and there was a piece of tape that usually came on the two track tape at the beginning, a piece of silver tape. And this is what I used to reconstruct the ribbon in the RCA mic. So a lot of the mics that were at Coxsone at the time some of them were damaged you know? So what I had to do especially when you put them round the piano and things was I had to go and listen. I listened to the piano and the organ and some of the instruments and listened to how they sound. Because the mic wasn't really bringing the exact replica of the audio that was being picked up. There were some equalisers called the Pultec equalisers and they were what I used. I sent the signal through them and then because I listened to the sound in the studio, like all the piano and so on, I had to try to recreate the sound that I heard you know? The frequency response at the bass end and middle end and so forth with the equaliser, because the mic wasn't really picking it up. Because some of them dropped them so much and all of that. The snare drum. So sometimes we had to also tape that because for me personally I didn't like to hear the sound too trashy so I would always try my best to get it very tight. I'd usually do the taping and make them play the snare and thing you know? And then deal with it from the angle. Tell me a bit about this story I've heard about the Sound Dimension delay and its effect upon the guitar sound. Well Eric usually had this thing where he played the “check-eh” because I realised that is where the reggae really came from. A lot of people didn't really realise that. “Check-eh check-eh” he used to do that with his hand. Double it you know? So eventually now Coxsone went away and he must have seen this thing called the Sound Dimension and it was a machine that could record and playback but it used a tape - you had a loop tape. So the same thing that I used to do on the board, that machine was doing by itself. In other words you feed the input and then now when it recorded it you are recording ahead, it records to the loop tape and then it has a playback head so you can move it to get the length of delay that you want. Eventually we started feeding the guitar through that so the Eric never had to do the doubling again. When you play the “check-eh check-eh” you could just move it to adjust it to where you want. Because each tune has a different tempo and you have to get the repeat in the timing. Yes because I think some people have got confused about the story over the years. They thought that the Sound Dimension delay was what created the reggae but actually it was Rickenbacker doubling the guitar first. There you go. Oh yeah at the beginning. Well a lot of people try to say what they don't know. Some people misunderstand and a lot of people try to say what they don't know because they were being told and sometimes they don't hear properly or they don't understand properly. What other innovations did you create at Studio 1? (laughs) Well let's put it this way. I was the innovation. In other words, I became so renowned that I was called “the dancing operator” at one time. I never used to sit down around the board. I'd stand up and every time the music would play and I'd feel it I get up and dance you know? So if a tune would start and they’d not see me dance they'd stop playing. And ask me say what me no like? You understand what I deal with? So I helped out a lot with the time in the vibes because music has a spirit you know? And if you don't get the time and the tempo proper then you don't get the vibes. You have to get the tempo, the tempo has to suit the lyrical content and it has to suit the dancing, so it has to have the dance content within it. They would kind of know my feel because whenever I didn't feel it I'd stopped dancing and they say what happened? What me no like? So I'd always have to give them some pointers. They say Scratch used to dance a lot to communicate his ideas as a producer. Did he get that idea from being around Studio 1? Well it is a possibility you know. I don't want to say what I don't know but it's a possibility, because he used to go there and we would work a little bit - not much. Who was the best drummer that you worked with at Studio 1? Now I want to tell you something. Horsemouth I think is one of the most steady drummers. And he was innovative too because he would do some ad libs and things. Benbow wasn’t bad. But there was this brother named Malcolm. Yeah Hugh Malcolm. He seemed to be above them in terms of technicality. But I don’t think he was in the reggae that much. But Horsemouth... You’re talking about while I was there right? Fil Callender came after a while, he wasn’t bad, but he was more… he never had so much innovations. So Jackie left and Leroy Sibbles became the arranger. Well, he now was a phenomenon. He would say it too that it was Jackie that mentored him. But he mentored himself too. Because he is a talented individual. When I say talented, I mean multi-talented. So he was a part of Studio 1 because he arranged, he played the bass, he did harmonies. Practically every tune he was in the harmonies.